I don't know whether you guys know this or not but the truth is "you don't need to convert videos for your Nokia phones via other converters". This image was taken when I tried to copy a avi file to my Nokia n97 mini. 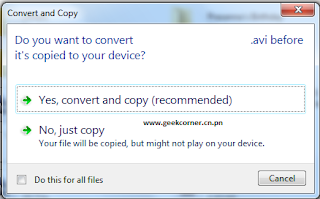 I clicked 'Yes, convert and copy' as it was recommended. The video is for 42.25 minutes and it took 5 minutes for my laptop to convert it to .wmv and save it. 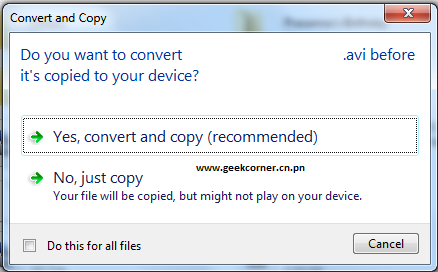 This is a nice choice for people who are surfing for pirated video converter for their Nokia phones. It also works for mp4 files.